TubeBuddy News Sneak Peak at upcoming TubeBuddy Features! 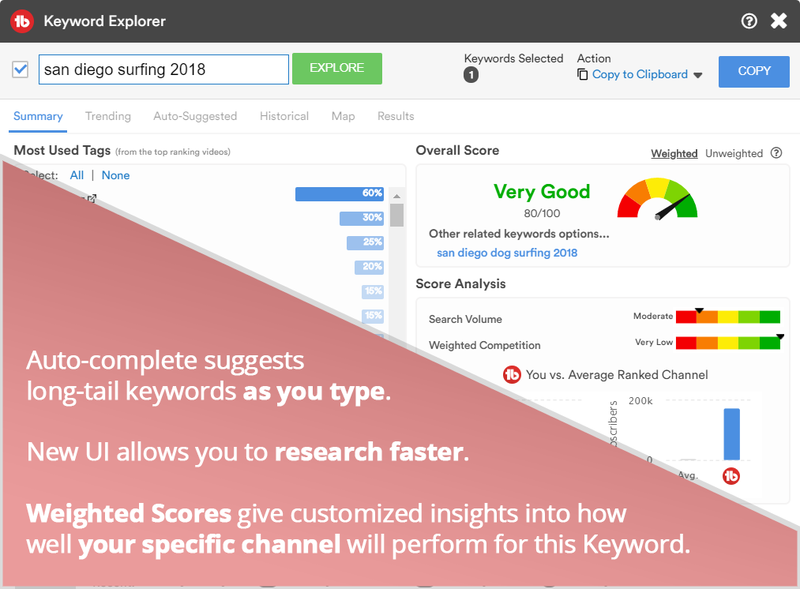 We decided to revamp one of our most used tools, the Tag Explorer, and will soon release its replacement, Keyword Explorer. Its new name emphasizes that the tool should not only be used to find tags to add to videos, but as a way to take a deeper look at keyword research as a whole. 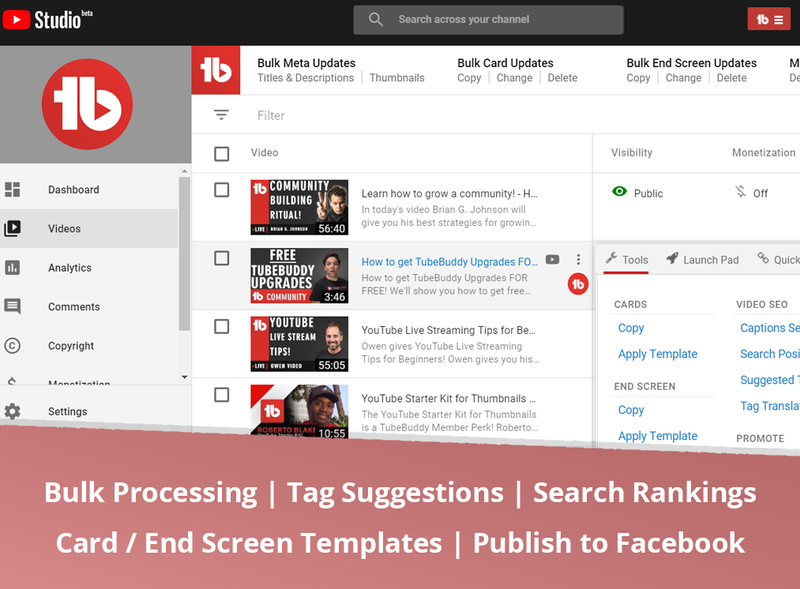 After a flood of requests, we are happy to announce that TubeBuddy is now available for YouTube Studio Beta. You can currently access most of our tools and we are continually working to get all tools transitioned over. One of our most loved and talked about features is getting an update. 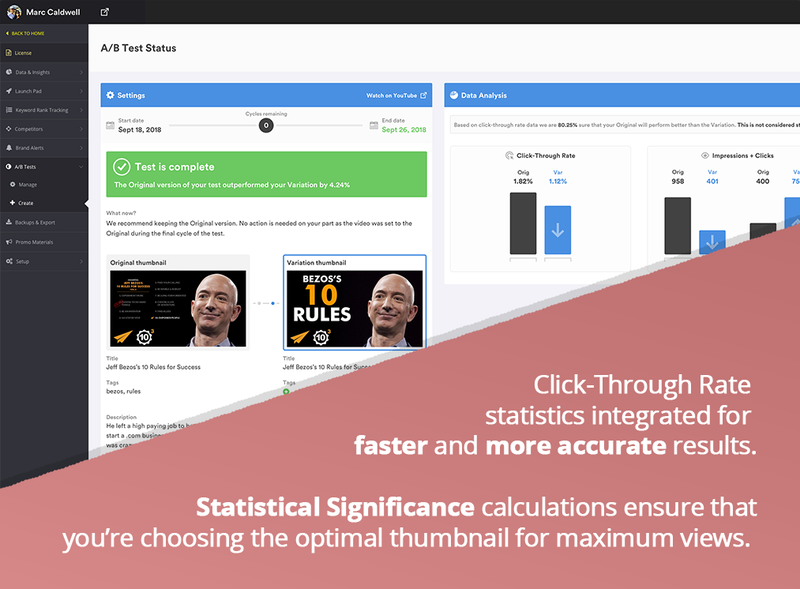 Not only is there a new UI in progress that will deliver a cleaner look and better graphical representation, but we recently added in Click-Through Rate data that launched with Beta Studio to give better insight and show the statistical significance of any of your A/B tests. Expect a new look in early October - just in time for VidSummit. One of our favorite events of the year is just around the corner, and we would love to see you there. 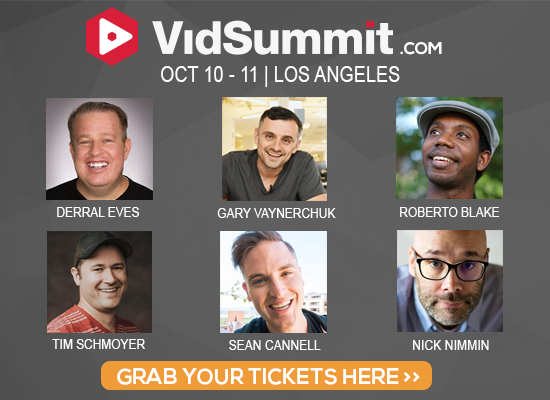 VidSummit brings together some of the greatest minds on YouTube for creators to come and learn first hand how to better grow and optimize their channels. It allows people to learn from successful creators who come and share the strategies and secrets that gave them their influential power and wealth. In honor of Gary Vaynerchuk coming back as a keynote speaker, VidSummit is giving away the new K-Swiss GaryVee 003 Cloud & Dirt shoes to the first one thousand attendees. If you havent already secured your ticket, now is the time to make sure you dont miss out on this awesome giveaway. The event kicks off on October 9th with a Networking Party hosted by Patreon and is followed by 2 jam-packed days of sessions and meetups where you can get serious about making content your business. We cant wait and hope to see you there - get your tickets now! Happy to help! We love letting people know what we're up to!